For three years in a row - in 2016, 2017, and 2018 - Ignite Visibility earned the title of the best search engine optimization company across the entirety of the United States. 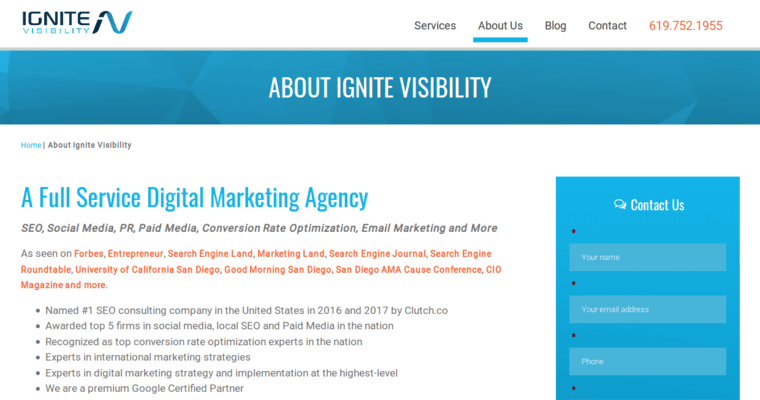 This is a title that very few SEO agencies across the planet can compete with Ignite Visibility for. 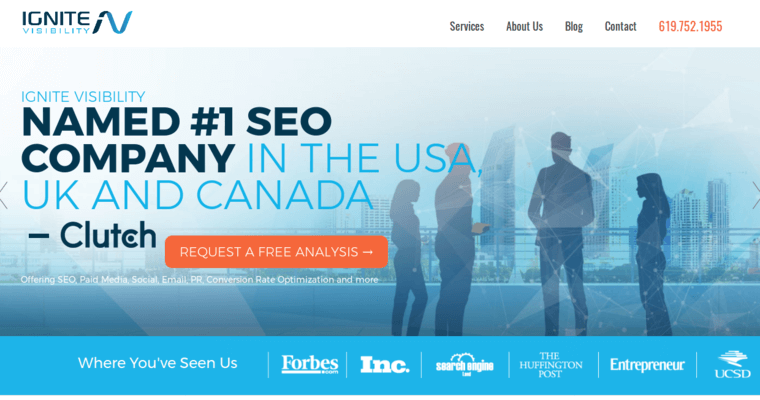 Some of the businesses that Ignite Visibility serves are consistently on the Fortune 500 list of the best businesses throughout the continent of North America, all of which pay Ignite Visibility a pretty penny for its services. 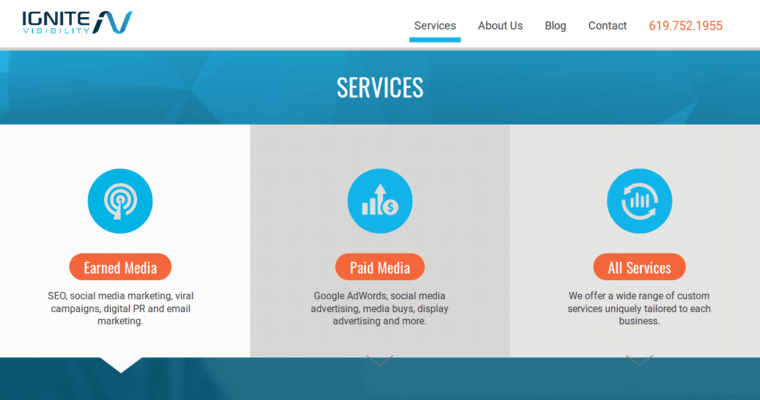 Unlike tons of other search engine optimization companies, there are no contracts that need to be signed with Ignite Visibility, allowing you to go month by month so you do not have to sign up for anything that you are not 100 percent sure about. Your employees, including you, will be able to learn about SEO as well, not to mention web analytics.